The new Orvis Flow Nippers combine quality and price. I own a pair of high end Orvis nippers. They are awesome, but they are also $80. While there is certainly a market out there for expensive, deluxe nippers, most of us want something that will last for a whole lot less. Orvis knows that too. This year, as part of a whole new line of tools, they are introducing the Flow Nippers. Quality, stainless steel nippers for $30. Still not the cheapest nippers you can buy, but they work great and will take a beating. 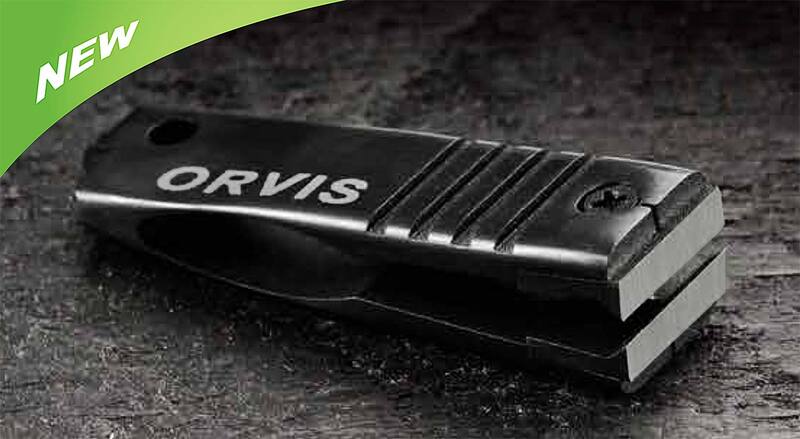 This entry was posted in Fly Fishing Gear, The Hot Ticket and tagged The new Orvis Flow Nippers combine quality and price. by Louis Cahill. Bookmark the permalink. The Orvis nippers are ridiculously priced and poorly designed. Both versions are THIRD class levers! They reduce the force exerted when squeezing (nipping). The size and shape of the cutting jaw is less than ideal for trimming short tippet tags hidden inside hackle and other fly parts. The best nipper ever for fly fishing is a good quality “slant” type nail or cuticle trimmer which can be had for less than $10. The Premax from Italy is awesome. I can’t agree with the recommendation of nail clippers. Nippers don’t need leverage as the stuff you generally cut with them isn’t that tough. Besides that, the slippery lever of clippers has to be swung out then flipped over then swung back over the clipper, that’s three fumbley operations just to get ready to nip. Not good. I’m with you – don’t care for nail clippers. I’ve got a couple pair of Simms nippers that work well and were not too expensive. I’ve also got a pair of Rising Big Nippers that I picked up at Fly South in Nashville that I really like. I’m not much of a trout guy, so they looked like a great idea for bass and musky flies…and they are. What was interesting was how fast I started using them with my gear fishing. The line clippers I like the best though is the Boomerang clipper…and the small one is better than the big one, even for musky size leaders and even for tieable wire (I cut the wire all the way down in the “V” and line (even braid) further up. To add to Larry’s comment above, I don’t get the outrage over buying expensive nippers. Other than your rod, reel, and line, there is only one piece of gear you will use more while fishing than your nippers. Why not spend a couple of extra bucks for something you know will cut well consistently. There is nothing more frustrating than trying to thread the eye of a size 22 hook only to find that the tippet is smashed instead of cut. This is in no way a sexual reference. And I’m 13 damnit!